Salmson, the French auto manufacturer, built cars up through 1957. They had a range of sedans and two-doors. This is a G72, a model introduced in 1950. Most G72s were sedans, but some of them were sent to coachbuilders for something a little more fancy. Power was supplied by a 2.3-liter straight-four. This car was bodied by Saoutchik, the legendary French coachbuilder. It was repainted some 25 years ago but otherwise it is original. Only 254 of this series of the G72 were produced and this one carries a one-off body. It should bring between $175,000-$240,000. Click here for more info and here for more from this sale. The Renault Frégate was Renault’s executive sedan that they built between 1951 and 1960. Estate wagons were available as well, under different names. Renault showed a convertible at the 1953 Paris Motor Show, but it never entered production. Later, three more examples were shown and two disappeared. It is believed this is the only survivor of those cars. The body is actually made of some kind of polyester blend. We’re really not sure what that means, but the engine is likely a 2.0-liter straight-four. 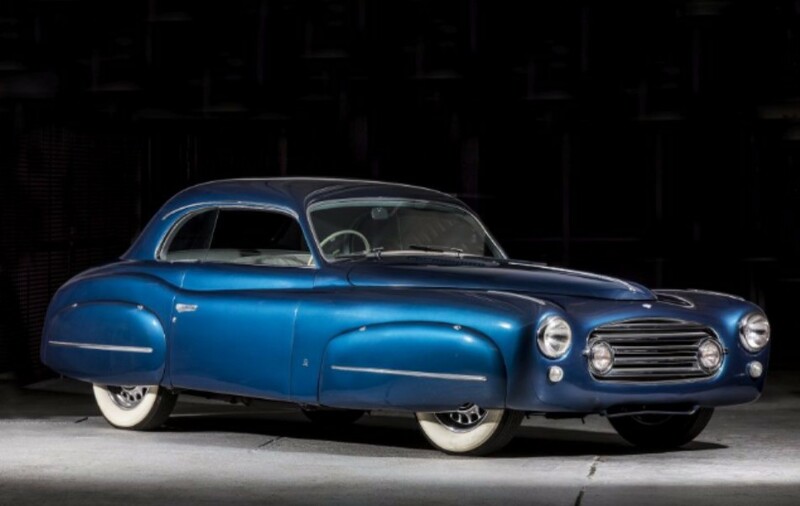 The restoration was completed in the 1990s and it is believed that this car was used by legendary French singer Edith Piaf in the 1950s. It is the only car like it and it should bring between $87,000-$110,000. Click here for more info and here for more from Artcurial. The Graham brothers of Dearborn, Michigan, began producing their own trucks in 1922 after years of modifying Fords. That company was bought by Dodge in 1925 and the brothers joined Dodge’s board. But when Chrysler took over Dodge in 1928, the Graham brand was soon phased out. Good thing the brothers bought the Paige-Detroit Motor Company in 1927. So in 1928, the Graham-Paige marque was introduced. In 1938 they introduced a bold (and awesome) new style that they built in low quantities through 1941. After the war, the automotive portion of the company was acquired by Kaiser-Frazer (which never reintroduced the Graham-Paige automobile brand), but Graham-Paige, strangely, soldiered on as a real estate company into the 1960s before becoming the Madison Square Garden Corporation. Weird, huh? Anyway, the Type 97 Supercharged was built in 1938 and 1939. It is powered by a supercharged 3.5-liter straight-six making 115 horsepower. This car left Graham-Paige as a coupe (they didn’t offer a convertible) and made its way to France to be bodied by Pourtout in Paris. It may be the only such car with this body. It has been restored and should sell for between $165,000-$215,000. Click here for more info and here for more from this sale. Update: Sold, RM Sotheby’s Amelia Island 2017, $770,000. 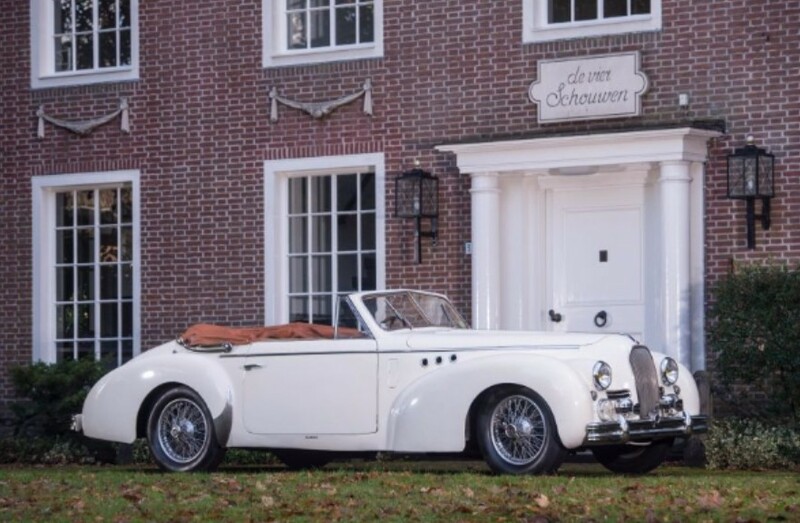 The Delahaye 135 was one of their best models. It lasted (in some form) between 1935 and 1954. The 135MS was the sportiest version – sometimes it was a race car, and sometimes it was a road car. 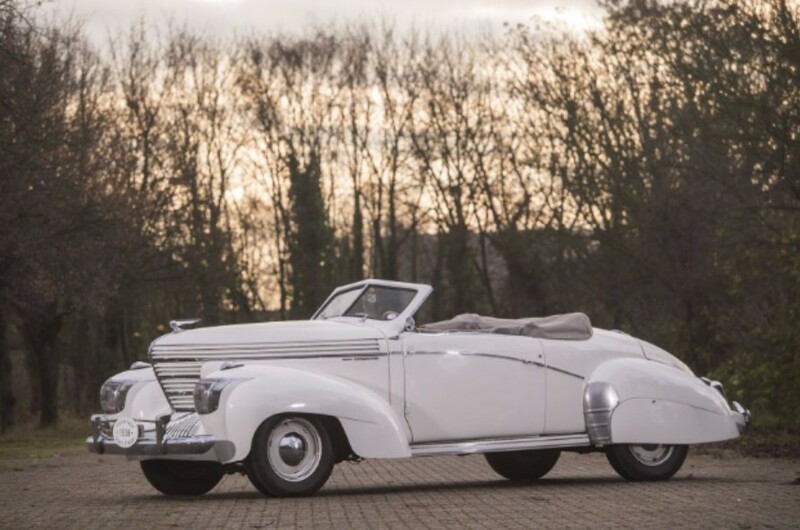 It was the final Delahaye car available for purchase before the brand was phased out. Bodies for the car varied widely. This car, with its covered wheels and sort of boxy design, was styled by Ghia in Turin. It’s beautiful. The engine is a 3.6-liter straight-six making 120 horsepower. It was built for the Shah of Iran who owned it until the late 1950s when it went back to Europe. Since then it spent time in the Blackhawk Collection and the John O’Quinn collection. The restoration was carried out sometime in the early 1990s. It’s a wonderful car and one of three Delahaye 135s styled by Ghia. It should sell for between $210,000-$285,000. Click here for more info and here for more from this sale. The Talbot-Lago T26 Record was a car introduced by Talbot-Lago in 1946. In late 1947, a Grand Sport version was introduced, which included a more powerful 4.5-liter straight-six making 190 horsepower (in this form). Grand Sport cars (that weren’t race cars) were all sent out to coachbuilders to have some of the best designs of the period attached to them. This one went to Carrossier Louis Dubos near Paris for this elegant cabriolet that, while originally black, looks glorious in white. Never completely restored, mechanical bits have been redone as needed. This is one of three T26s bodied by Dubos and the only Grand Sport to wear one of their bodies. It should sell for between $260,000-$350,000. Click here for more info and here for more from this sale. 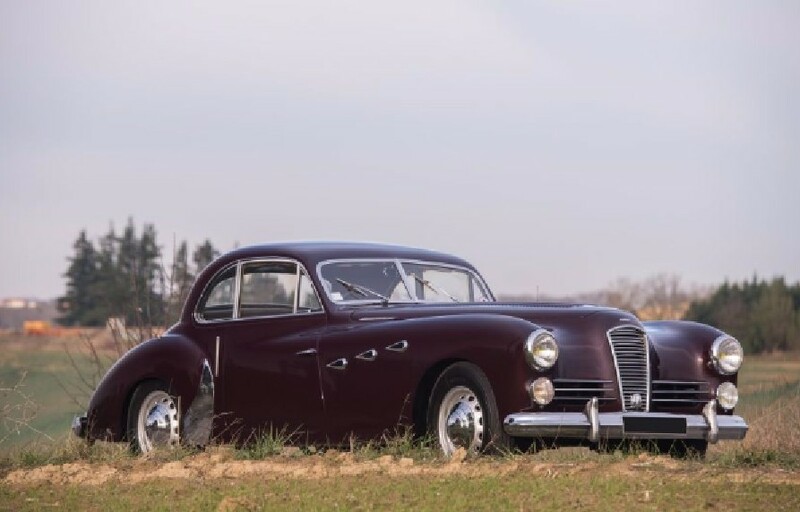 This entry was posted in Uncategorized and tagged 135ms, 1939, 1949, 1951, 1953, artcurial, auctions, cabriolet, cars, classic cars, coupe, delahaye, dubos, fregate, g72, ghia, graham-paige, grand sport, ondine, pourtout, record, renault, salmson, saoutchik, sport, supercharged, t26, talbot-lago, type 97 by classiccarweekly. Bookmark the permalink.